I had to get back on the #Fitfam train after eating all kinds of junk. 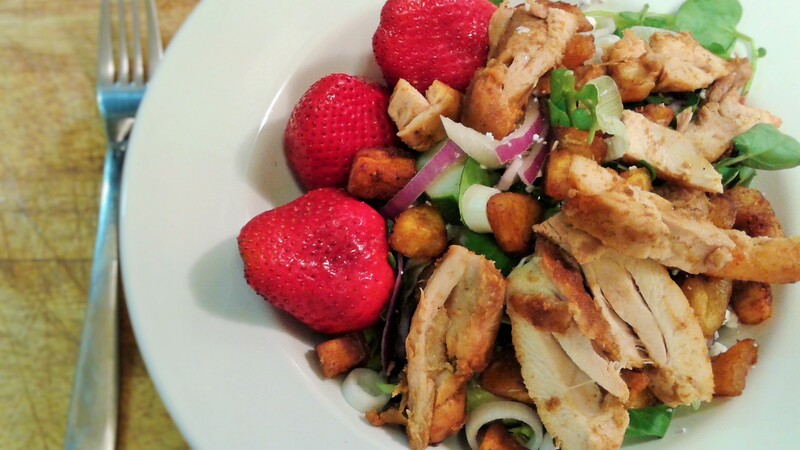 I thought about making a quick salad and I already have a few signature salads, but after I had this one for dinner; all the spots were hit, as in all my hunger spots were satisfied. I did not even realize how hungry I was. Anyway, After making my chicken suya pizza, I had one piece of raw chicken left over. And after what seemed like a long day, I had to do a salad bowl with some chicken suya. I had sort of an emotional day and my nerves were not having it, so I just kept piling on the ingredients into the bowl, and by the time I was done, I had a beautiful work of art starring me in the face. I was so pleased with myself. I felt a sense of satisfaction. I was once more reminded of why I love what I do. 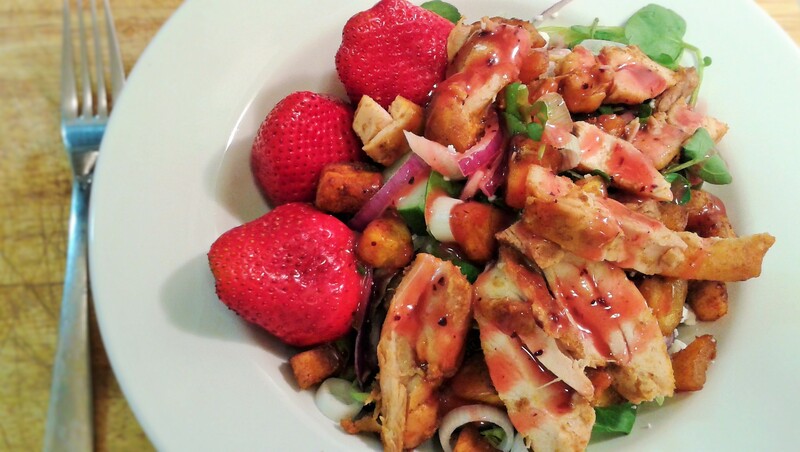 This entry was posted in Uncategorized and tagged chicken suya, chicken suya salad.